WITH the prevalence of smartphones and tablets, the issues of enterprise mobility and the associated “Bring Your Own Device” (BYOD) strategies are now a priority on the agenda for many companies here in Singapore. According to a recent report from Ovum, over 70 per cent of multinational companies in the Asia-Pacific region already have policies to embrace this trend. There are many advantages to having an effective BYOD strategy in place and businesses all over the world are looking at how to use it for competitive advantage. However, to get the most out of it, businesses need to think beyond the basic technology considerations and look at their wider business and employee objectives. The power of BYOD lies in its ability to help employees to be more productive — by empowering them to work the way they want, using devices they have chosen themselves. Depending on how BYOD is deployed, there may also be some initial cost-savings from a device perspective but the organisation should be aware of potential increased costs for data security and management of a BYOD fleet. 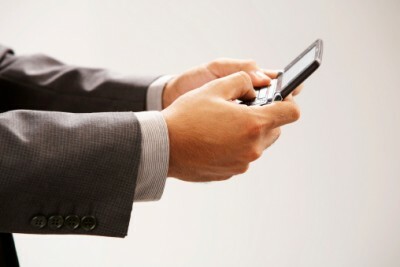 In any event, cost considerations should not be the primary driver for implementing a BYOD policy. It is important for businesses to assess the risks associated with BYOD before introducing it to their workforce. BYOD is not suitable for everyone. Work styles and needs will vary depending on the person and his or her role. Criteria also need to be applied to how much of the companies’ data really needs to be made available remotely. Those workers who require mobile access to sensitive data can be provided with enhanced security to help protect against the compromise of sensitive company information. Companies considering BYOD should think carefully about their policies and procedures, encompassing issues of governance, privacy and security around the use of personal devices. One answer is to implement mobile device management technology. This enables IT administrators to manage mobile devices remotely, and lock and wipe sensitive company information should the device be lost or stolen. By doing this, companies can ensure that their corporate information is safe from the risk of data theft. Security software will also protect against malware and viruses if it is installed onto the devices. Additionally, while employees need to feel that they can still use their device for their personal use without concerns that the company can access their private data, they also need to be clear about their duty to minimise risk to the company. The best way to achieve this is for the IT team to work with human resources to develop clear policies governing usage by employees, to prevent any data compromise. Education programmes explaining the policies should be rolled out across the organisation to make staff aware of the responsibilities of using their personal device for work, to encourage them to stick to the guidelines, and to be clear on the potential repercussions of abusing it. In summary, BYOD works best when both the company and its employees have a shared understanding of the objectives that BYOD is attempting to achieve. Article by Stevan Hoyle, President, Asia-Pacific & Sub-Saharan Africa, Vodafone Global Enterprise.